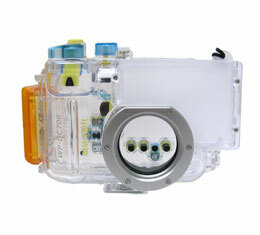 Canon Waterproof case WP-DC700 for the Canon PowerShot A60/A70. This case can be used underwater in depths down to 40 meters (130 ft.) and in wet or dusty environments. Case includes: Neck strap, wrist strap, silicone grease for Waterproof seal, user guide.